Home » Tips » Sprinkle This Spice Around Your Home and You Will Never See Ants Again! Getting rid of ants can be a pain. Chemical warfare doesn’t always work either – at least not without putting your own health (as well as your pets’) in danger. When it comes to ants, putting up with them or buying overpriced, dangerous chemicals that cause rashes, nausea and headaches aren’t your only two options. There’s a third. And it’s hiding right in your pantry. While the awesomeness of cinnamon is more or less understood to humans, ants are quite a bit more confused by it. The root of their confusion lies in the way cinnamon affects their primary means of communication – pheromone trails. Ants rely on their sense of smell to help guide one another to various spots through the use of distinctive-smelling, elaborate trails. But wait, you might be saying. I’ve never noticed a particular smell coming from ants, and I’ve got a ton of them in my home! 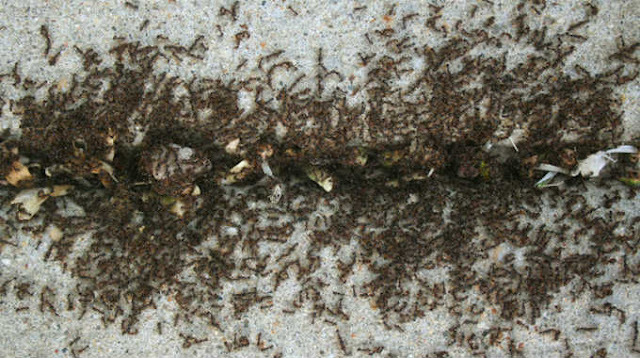 Humans can’t detect the smell of ants’ pheromones because it’s so slight. Ants have “super-sniffing” abilities that allow them to pick up on this with ease. So if ants can smell things that are undetectable by humans, you can only imagine how strongly things like cinnamon smell to them. This throws them for a major loop and prevents them from navigating properly. All while your house smells like Christmas. It’s as easy as sprinkling a bit of plain, powdered cinnamon wherever you notice ants hanging out in your home. Be sure to focus on cracks, windows, doors, near your garbage cans, etc. An alternative to sprinkling natural cinnamon is to take cinnamon essential oil, dip a Q-Tip in it and draw a line across the doorways and cracks in your home. Want to see the remedy in action? Have a look at the video below!